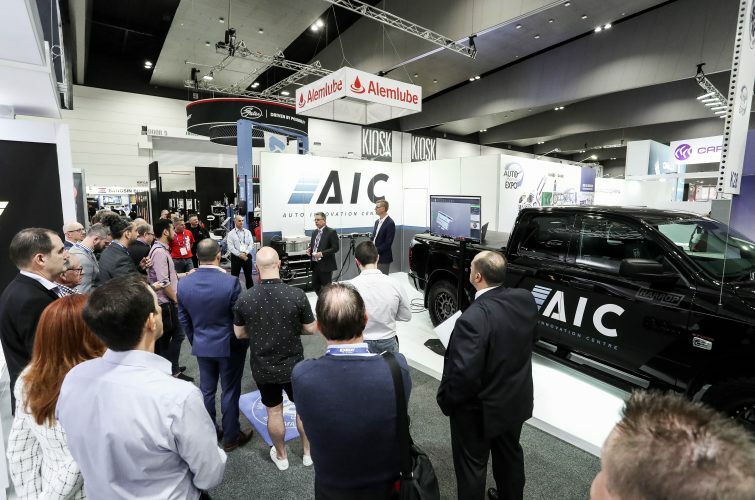 The Australian Automotive Aftermarket Association (AAAA) has unveiled the exciting future of Australia’s automotive aftermarket industry product design and development capabilities at the country’s largest Automotive industry event, the Australian Auto Aftermarket (AAA) Expo in Melbourne today. AAAA Chief Executive Officer Stuart Charity announced the establishment of two Automotive Innovation Centres based in Victoria and South Australia. Co-funded by Federal and Victorian Government industry development grants, these state of the art facilities will provide Australian automotive product designers and manufacturers with the tools, advanced technology, vehicles, expertise and the collaborative environment required to innovate, design and test products for local and export markets. These Automotive Innovation Centres will also significantly reduce the time and cost in developing innovative new products for domestic and export markets. The Melbourne Innovation Centre, which is scheduled to open during the second half of 2019, will support the development of new automotive aftermarket products by Australian advanced manufacturing businesses. This will be achieved by providing them with access to services including base OEM vehicle data and measurements, 3D scanning and printing, measuring sessions, technology transfer and rapid prototyping. In addition, state of the art testing facilities will form a core element of the facility’s offering to the entire industry, along with the delivery of highly specialised training. The vision for the South Australian facility, which will open in 2020, is to establish a national centre of excellence for dynamic vehicle testing including brake and electronic stability control along with Advanced Driver Assistance System (ADAS) testing, suspension development and load capacity validation. Mr Charity was joined by Auto Innovation Centre Manager, Luke Truskinger at today’s launch, who outlined the concepts behind the establishment of these vitally important Australian Innovation Labs. While the well-publicised closure of Australia’s car manufacturing sector in 2017 was a devastating blow to the tens of thousands of workers from the vehicle manufacturers and their supply chain companies directly impacted by these decisions, it did not lead to the demise of the entire Australian automotive manufacturing industry as many incorrectly predicted. “The Australian automotive aftermarket manufacturing sector continues to punch well above its weight on the global stage. Australian automotive aftermarket manufacturers currently turn over $5 billion per annum, employ 21,000 people directly and export $1 billion per year of locally manufactured product – and these exports are growing strongly.” Mr Charity stated. “Earlier this year we commissioned ACA Research to undertake a survey of our manufacturers to measure the health of the industry and the preliminary findings are very telling of the exciting future potential of Australian automotive aftermarket manufacturing. “78% of all Australian aftermarket manufacturers engage in export with our largest markets being the USA, Europe and the UK in that order. An incredible 82% of those surveyed expected export sales to be either a little higher or significantly higher over the next 3 years with only 3% projecting lower export sales.” Mr Charity added. In the face of strong import penetration, the Australian automotive aftermarket industry’s response has been to move up the value chain – from service parts to high-value specialty products with a technological advantage such as 4WD, high performance and motorsport components. All of these products are purchased on innovation, performance and features rather than on price. The massive increase in domestic and global sales of 4WD and SUV’s has also created significant demand for highly specialised automotive aftermarket components. This has opened the door to new opportunities for the Australian automotive aftermarket industry in the design and development of functional accessories as well as performance and safety enhancement products. “The two new Auto Innovation Centres will play a crucial role in the ongoing development of not just world class, but world leading automotive aftermarket products and components for the domestic market and for global export markets,” Mr Charity concluded.